Researchers have shown that survivors of accidents, disaster and childhood trauma often endure lifelong symptoms ranging from anxiety and depression to unexplained physical pain, fatigue, illness and harmful "acting out" behaviours reflecting these painful events. Today, millions in both the bodywork and the psychotherapeutic fields are turning to Peter A. Levine's breakthrough Somatic Experiencing methods to effectively overcome these challenges. a 60-minute CD of guided Somatic Experiencing techniques. 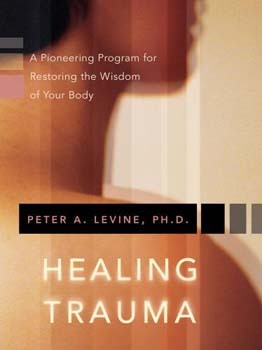 "Trauma is a fact of life," teaches Peter Levine, "but it doesn't have to be a life sentence." Now, with one fully integrated self-healing tool, he shares his essential methods to address unexplained symptoms of trauma at their source - the body - to return us to the natural state we are meant to live in.